Our cruises to Canada/New England are filled with ports that have the perfect balance of historical sites, culture, cuisine and scenery. Sometimes there’s so much diversity it’s hard to determine what to do during your time ashore. Fortunately, through our new Destination Guides created in partnership with AFAR, we’re working to help guests pinpoint the best activities and experiences that will match the interest of our individual guests. Whether you’re into art, history, food and drinks, contemporary life or nature, it has never been easier to plan the vacation of a lifetime. AFAR utilized its vast network of local experts to curate the information, providing cruisers with authentic recommendations for top attractions, restaurants and shopping experiences in each destination. Here are some of the top picks for each interest in select ports on the Canada/New England cruises. Enjoy the Bar Harbor Lighthouse Tour! The Bar Harbor Whale Watch Co. escorts guests on their spacious 90-foot jet-powered catamaran. 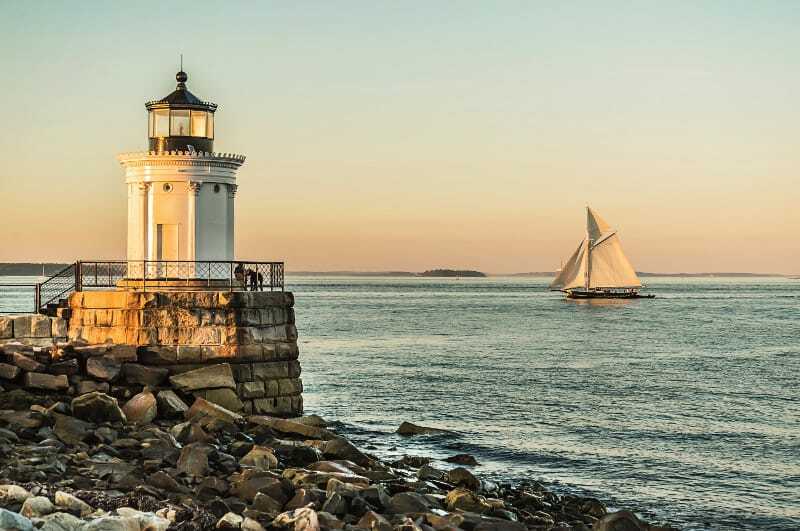 As you pass Maine’s loveliest lighthouses, narration offers some histories of the structures. Egg Rock, Winter Harbor, Baker Island and Great Duck, which is still an active lighthouse, all date back to the 1800s. After the cruise, visitors eager to see another lighthouse can tour the grounds of Bass Harbor Head Light on Mount Desert Island. It is still operated by the U.S. Coast Guard and is on the National Register of Historic Places. 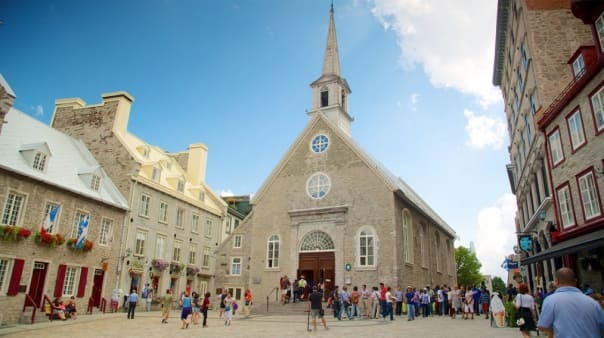 In Quebec City, visit the quaint cobblestone square Place-Royale. It is found in the Old Port and is where Samuel De Champlain founded Quebec City in 1608. Presiding over it is Notre-Dame-des-Victoires Church, one of Canada’s oldest stone churches and almost as old as the square itself, having been built in 1688. Place Royal is mostly lined with adorable boutiques and delicious restaurants housed in charming restored buildings. Stop by the Place-Royale Museum on the west side to learn more about the rich history of the city. Notre-Dame-des-Victoires Church, one of Canada’s oldest stone churches. Photo courtesy of Tourism Media. 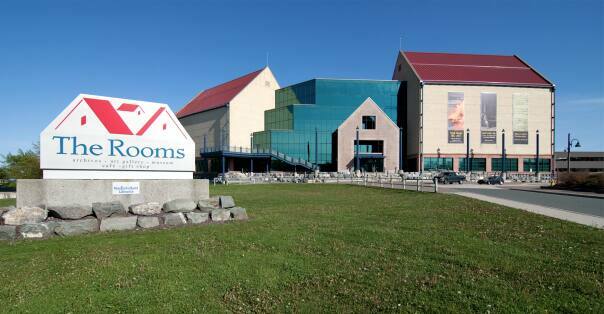 Located at St. John’s, The Rooms houses the Art Gallery of Newfoundland as well as Labrador and the Provincial Archives and Museum. Its wondrous height competes with the Basilica Cathedral of St. John the Baptist for dominance of the St. Johns skyline. The Rooms has a historical postmodern style and is a major cultural draw for the city. Visit the gallery when it hosts one of its numerous shows each year, or learn more about the area’s natural and cultural history in the museum. The Rooms in St. John’s. Photo courtesy of The Rooms, www.therooms.ca. Immerse yourself in the deep collection of Winslow Homer’s work in the Portland Museum of Art. PMA runs his stunning residence and studio at Prouts Neck as a satellite. Alongside Homer lives a stellar lineup of works by well-known artists such as Warhol, Renoir, Cassatt, Sir Joshua Reynolds, Kasebier, Wyeth, Frederic Church and more. PMA is mama-bear sized, large and varied enough that you will find plenty to wow you. The Alexander Graham Bell National Historic Site in Sydney celebrates the genius of the prolific inventor. Visit this historic site and see how Bell and his colleagues invented the first hydrofoil boat and, most famously, the telephone. The beautiful 25-acre grounds overlook Bras d’Or Lake Baddeck Bay and Bell’s summer home, Beinn Bhreagh, still privately owned by his descendants. Dramatically located at the highest point on Signal Hill in St. John’s is Cabot Tower. This National Historical Site of Canada looks like the remnant of a larger castle and overlooks the entrance to St. John’s harbor. It was designed in a neo-Gothic style. Commissioned in 1897, it was intended to serve as both a monument to the 1497 voyage of John Cabot to North America, as well as the 60th anniversary of Queen Victoria’s reign. Travel 40 miles off the coast of Bar Harbor in a high-speed catamaran and treat yourself to a whale watching tour. Spot humpback, finback and minke whales and maybe you will also see dolphins, porpoises, seals and seabirds. Expand your knowledge on the whales and other animals from the onboard naturalist who will give you an overview on both sea and air animals. Think Niagara Falls is impressive? Visit Montmorency Falls in Quebec City and see the breathtaking towering waterfall just outside the city. 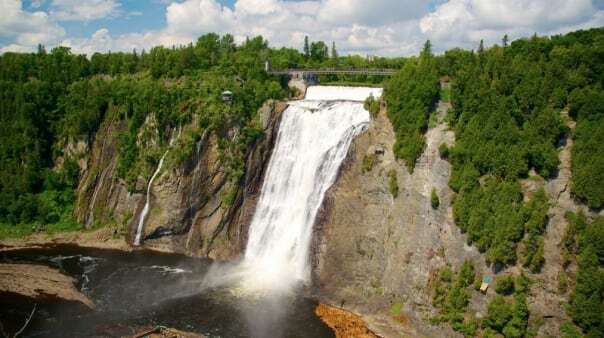 Montmorency’s cascade is a full 99 feet higher than Niagara Falls at an impressive 272 feet. See the fabulous falls from a bird’s-eye view by taking a cable car to the top! Montmorency Fall, photo from Expedia.com. 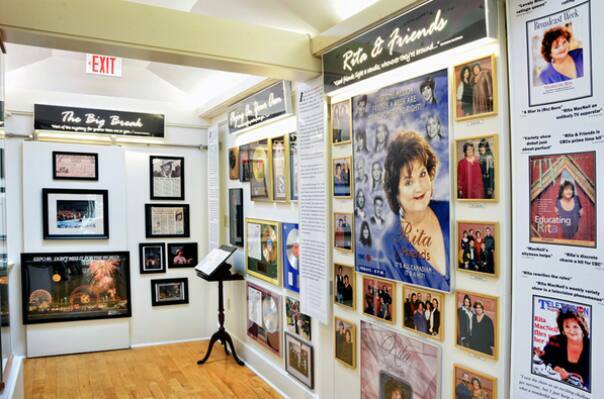 Rita’s Tea Room, a close drive from Sydney, was opened in 1986 by the beloved Cape Breton singer-songwriter Rita MacNeil. The Tea Room is set in a former one-room schoolhouse built in 1939 and has become a popular stop for fresh-baked treats, tea, lunch and light dinners. MacNeil’s musical tradition continues here: In July and August, Sunday afternoons are lively with lunch and shows, where guest artists perform. Rita’s Tea Room displays awards and photographs from Rita’s career. Photo from novascotia.com. Wash down your lobster roll in Portland, Maine, at Novare Res Bier Café. Down an alley off Exchange Street, join serious beer lovers who congregate at picnic tables on the outdoor patio or at communal tables in the brick-vaulted cellar space. Choose from more than 500 small-batch beers from all over the world. The vast menu is divided by region, taste and style, but don’t be overwhelmed, the waitstaff (or your fellow worshippers) will be happy to steer you to a beer that suits your palate. No matter where your journey takes you, you are sure to find what fits your passions and interests by using our Destination Guides. Explore other ports in Canada and New England online and plan out your next adventure! Holland America has extensive experience when it comes to offering cruises to New England and Canada. Holland America is the only cruise line offering regularly scheduled cruises during the Summer months to these destinations, as well as, the fall. Whether it is cruises from Boston, Montreal or fall sailings from New York or Quebec, Holland America offers many cruises of varying lengths, interesting ports of call and immersive excursions.